I am really happy with the results of the hair removal but also how it was relatively pain free. I would definitely do it again. We decided that 2019 has to be a year when we ditch razors once and for all, and turn to sugaring hair removal method which is the safest, most effective and kindest to your skin. You will also love the fact that sugaring paste is made from natural ingredients suitable for the most sensitive skin. The sugaring process is gentle on your skin as it removes unwanted hair in its natural direction of growth, without sticking to your skin, damaging or burning it, as it may happen with waxing. You might have noticed that we are trying to share as much as possible about sugaring across our social media as we want you to know about the benefits it can give you, and as a part of this campaign we also decided to give several volunteers a chance to try sugaring treatments in salon for free in return for honest reviews which we will share with you in the coming weeks. This week we want to introduce you to our first volunteer Fiona who tried facial sugaring treatment. She has very sensitive skin with light but unwanted hair on the side of the cheeks bordering the hairline. 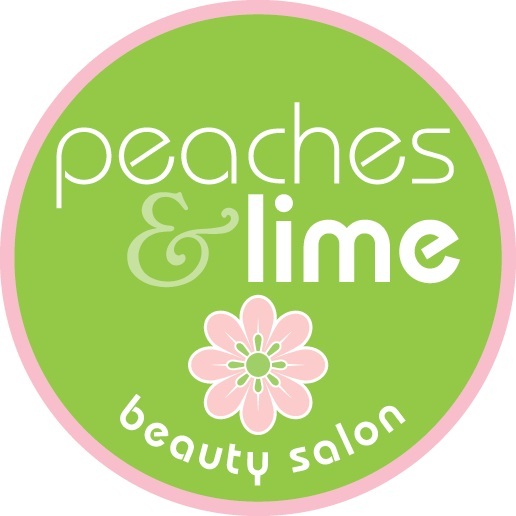 I have had threading, waxing and laser treatments done before. Waxing damaged my skin underneath, leaving it red and sore, the results with threading were very similar. Sugaring was far less painful than threading and waxing. On a scale of 1 to 10 with 10 being the most painful, I would rate sugaring at 2-3. Waxing and threading would be higher, about 5-6. There was mild discomfort and slight pain when the hair was being removed but no lasting pain. The sugared area felt slightly warm afterwards but really smooth. Any redness had subsided within a few minutes. I met my sister half an hour after the treatment and she could not detect any redness at that stage. Sugaring hair removal took slightly longer than the other methods but not dramatically so. I love the result. My skin looks and feels great and the results are still good a week later. 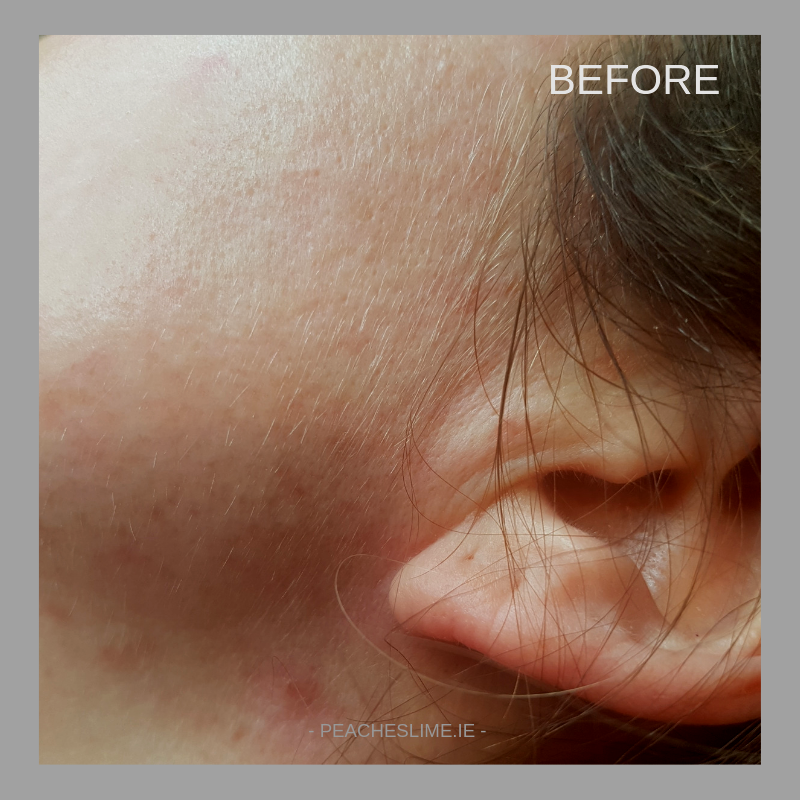 I would definitely do it again as I am really happy with the results of the hair removal but also how it was relatively pain free. The area still looks and feels great now, over a week later. It feels very smooth. Would I recommend it to a friend? Absolutely! In fact, my sister has already booked in to get the treatment done. 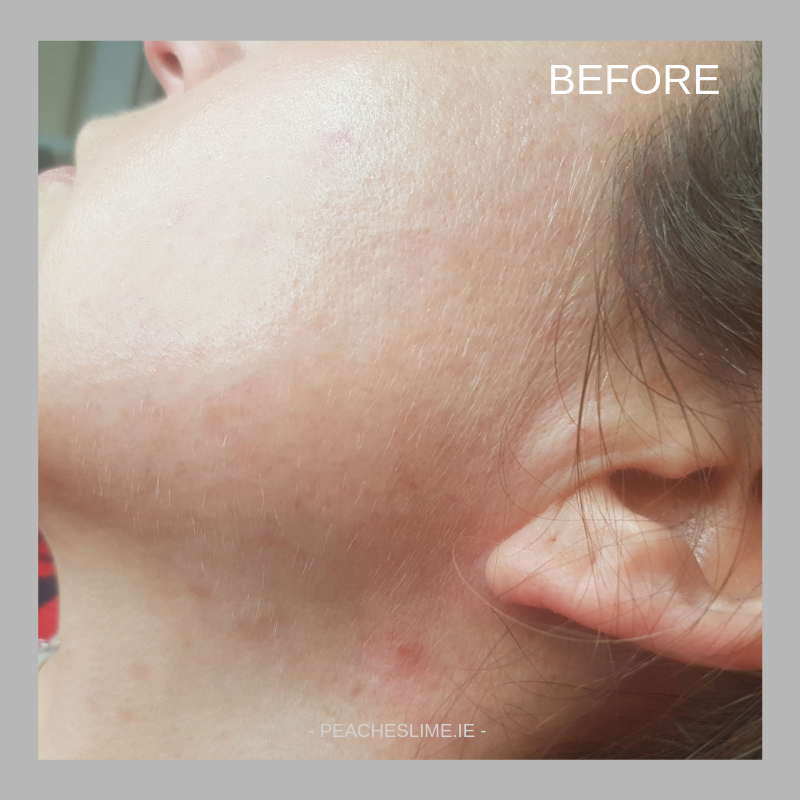 UPDATE (March 2019) Fiona has had few facial sugaring treatments with us now and with every time there are less and less facial hairs to remove, they are much finer and easier to remove. 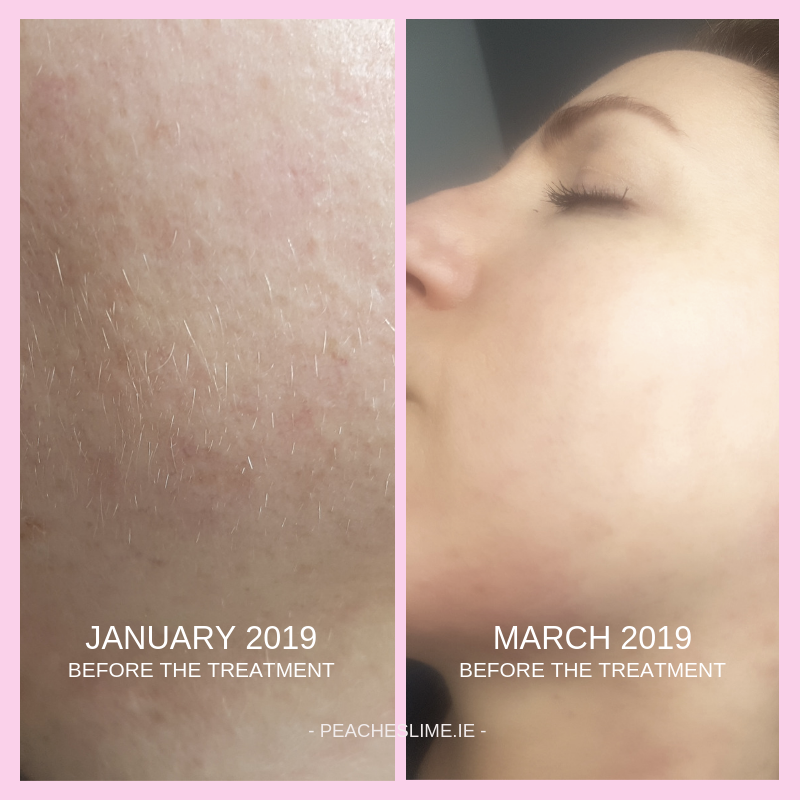 Here I have added a photo that shows Fiona's skin condition in mid January when she started her sugaring treatments and 3 months later, at the end of March. Difference is amazing and I am happy she loves results and will continue sugaring hair removal also in the future. We used Alexandria Professional sugaring products for this facial sugaring treatment. 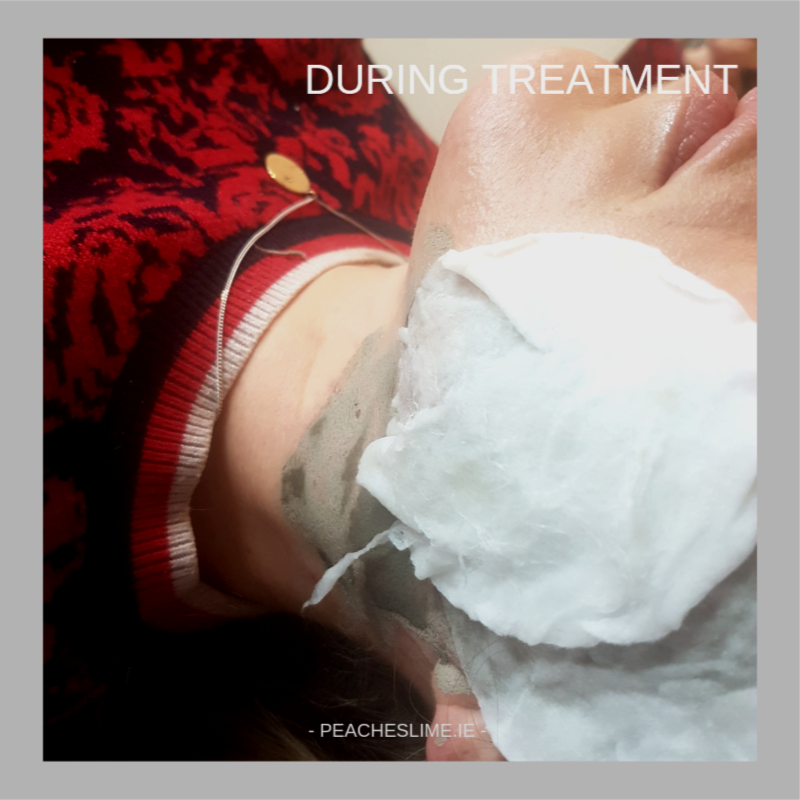 Calming Hungarian mud mask was applied to her skin after sugaring which will help with ingrown hair problems, treating facial blemishes and improving skin texture. It also removes impurities and dead skin cells from the skin surface so skin feels softer and smoother. 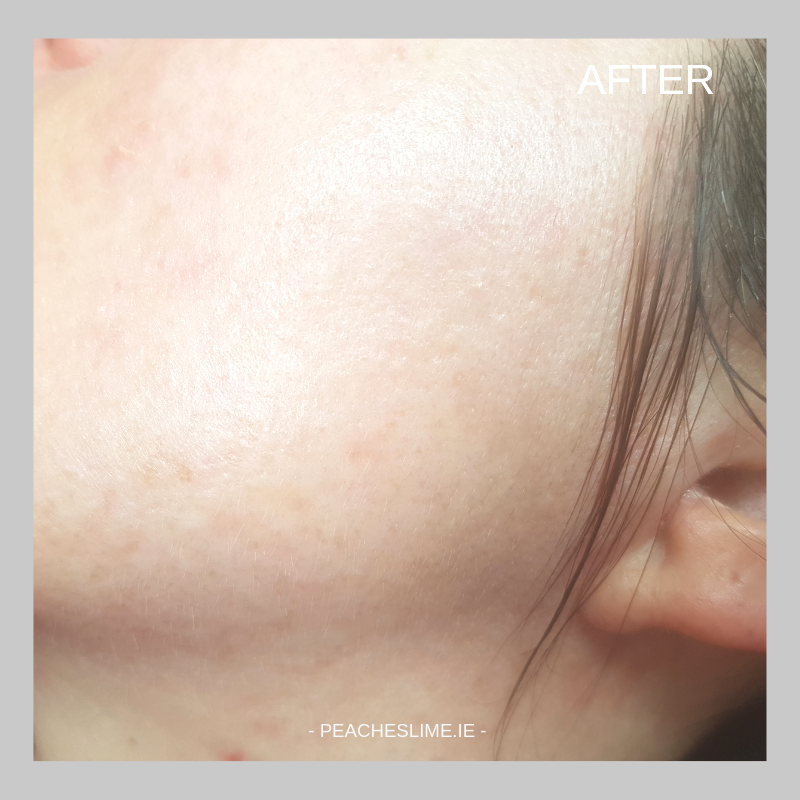 If you would like to receive more information about sugaring treatments that we offer or book a treatment with us, please get in touch by email: erica@peacheslime.ie or call: 01-2056709.